We already know Bon Ton is (hands-down) the best Cajun + Vietnamese infused experience in town, but does the rest of Atlanta know this? 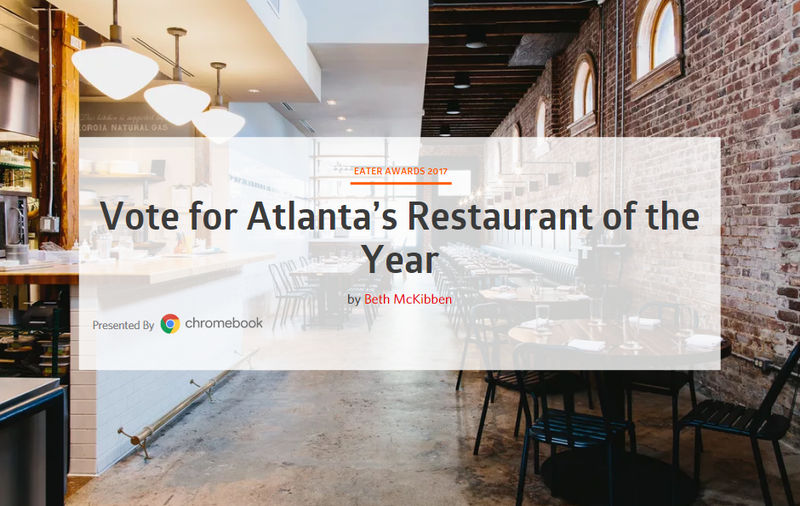 Well, Eater Atlanta certainly fancies their offerings — enough to include them in its 8th annual Eater Awards as a reader’s choice nominee in the Atlanta Restaurant of the Year category! That’s right, those late night NOLA inspired Po’ Boys + craft cocktails are finally getting the recognition they deserve. But… that’s only with your help! Honoring the most talented restaurant + bar industry gurus in cities across the world in multiple categories, (Restaurant of the Year, Chef of the Year, and Design of the Year) all 24 Eater cities and the national site will announce an editor’s choice winner + reader’s choice winner on December 5, 2017. Now, without any further ado, help Bon Ton earn its claim to fame and cast your vote here!